You Are Here: Home > 2019 INFINITI QX50 vs 2018 Audi Q5 | Which is Better? 2019 INFINITI QX50 vs 2018 Audi Q5 | Which is Better? Luxurious, sporty and stylish, the 2019 INFINITI QX50 is a crossover SUV that has five seats. The 2018 Audi Q5 is a crossover SUV that also has lavish amenities for five occupants. Running on the all-new VC-Turbo engine and Xtronic CVT, the QX50 performs well under various conditions. This model also boasts best-in-class safety technology, such as the Backup Collision Intervention and Predictive Forward Collision Warning. The 2019 QX50 carries the all-new VC-Turbo engine that unleashes up to 268 horsepower. This signature turbo engine cranks out a maximum of 280 lb-ft of torque at 4,400 RPM. You won’t get more than 252 hp and 273 lb-ft from the Audi Q5’s 2.0 L TFSI engine, which is also turbocharged. A variable compression ratio allows the VC-Turbo engine to achieve optimum performance based on real-time demand. For example, the powertrain creates an 8:1 compression ratio to achieve maximum power. A 14:1 compression ratio is used to optimize efficiency in various traffic conditions. Equipped with the Xtronic CVT, the 2019 QX50 offers best-in-class handling. Unlike the Audi Q5’s seven-speed automatic transmission, the CVT doesn’t have fixed gear settings. In fact, this cutting-edge transmission combines the advantages of manual and automatic mechanisms for gear changes. The Direct Adaptive Steering and Intelligent AWD also give this INFINITI model a major advantage over the Audi Q5. The 2019 INFINITI Q50 is furnished with leather-appointed seats, maple wood and aluminum trims. Semi-Aniline is incorporated into the genuine upholstery in this luxurious crossover SUV. A climate control system with three zones keeps the cabin at ideal temperatures and humidity levels. You’ll surely appreciate the Plasmacluster air purification technology that’s paired with a filter that has a grape aroma. Featuring a total of 16 speakers, the Bose sound system in the Q50 blasts awesome acoustics. Enhanced by the Advanced Staging technology and covered in aluminum, the speakers play your favorite music on SiriusXM Satellite Radio. The Audi Q5’s standard audio system only comes with 10 speakers. The Backup Collision Intervention makes the 2019 INFINITI QX50 one of the smartest and safest crossover SUVs on the market. As the name implies, this cutting-edge technology takes action to prevent an accident when you back up. The Forward Emergency Braking is sophisticated enough to make split-second decisions on accident-avoidance measures. For example, the brakes will be automatically engaged if a pedestrian is spotted in your projected path. The Predictive Forward Collision issues warnings if a front crash is imminent. Whether you get distracted or drowsy behind the steering wheel, the Lane Departure Prevention makes sure that the QX50 doesn’t swerve out of control on the highway. Visible and audible alerts are also produced by the Lane Departure Warning and Blind Spot Warning. Additionally, the Blind Spot Intervention gives this INFINITI a definite edge over the Audi Q5 in active safety. 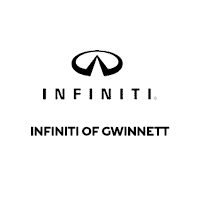 INFINITI of Gwinnett invites you for a test drive in the 2019 QX50. Visit us today to discover what makes this premium crossover SUV better than the 2018 Audi Q5.